To meet the demands of ever-tightening budget restraints and to take advantage of advances in building science and technology, in 2001 the University of Florida (University) began their involvement with the US Green Building Council (USGBC®) and Leadership in Energy and Environmental Design (LEED®) Certification by adopting design and construction criteria for all new construction and major renovation projects. LEED was adopted in an effort to build more sustainably, have more energy efficient buildings, and to save on total costs associated with each building over its estimated useful life. Since 2001, all of the University’s new construction and major renovations have at least met the minimum criteria for LEED certification. LEED Certification has become increasingly difficult to achieve as the USGBC attempts to “lead” the industry in energy efficient design and sustainability. Due to the evolution of the USGBC and LEED during the university’s implementation of the program, which has made certification a moving target, many strategies have been employed to achieve certification on their projects. The university has sought out reliable and knowledgeable sources in their construction projects and LEED program. 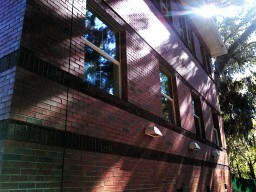 Affiliated Engineers SE, Inc. (AEI) of Gainesville, Fla. has provided commissioning services to UF on many projects. AEI specializes in the commissioning of the mechanical systems and employs Terracon to provide the Building Enclosure Commissioning (BECx) as part of the commissioning team. Building Enclosure Commissioning not only improves the efficiency and sustainability of the enclosure, it is extremely valuable in the pursuit of LEED certification. BECx has a direct impact on several LEED credits and can also have an indirect impact on many others. Most directly, BECx can achieve an Innovation in Design (ID) Credit, which is a bonus credit. However, there is no “how-to” available to achieve this ID credit, and it is difficult to achieve without an in-depth knowledge of LEED certification requirements and the process by which a building becomes certified. In 2009, the University committed to achieving LEED Gold certification or better for all new construction and major renovations. Every point is critical to ensure the minimum 60 points are achieved. Detailed information regarding LEED is provided in the sidebar to the left. With this in mind, the University began to engage building enclosure specialists to ensure the achievement of the credits that are directly and indirectly affected by the building enclosure. Terracon was selected, as part of the commissioning team, to commission the building enclosure of multiple University projects, including the recent Environmental Health & Safety Office Expansion. The commissioning team, including Terracon, achieved the ID credit for Enhanced Building Enclosure Commissioning for the University. This was the first project in the history of the University of Florida to earn this elusive credit. The foundation of the commissioning process starts prior to design and during the development of the Owner’s Project Requirements. These requirements set the tone for the project and give the basic structure by which all parties, from the architect to subcontractors, must abide. The BECx agent assists in developing the requirements by working with the owner and architect to refine basic selections of systems and defines the way the building enclosure will be commissioned for the owner with a commissioning plan that fits within the boundaries of the Basis of Design. Terracon has developed ways to achieve the ID point which greatly aides the University’s pursuit of LEED Gold. Terracon has been able to do this without the structure of LEED requirements for this credit. Without LEED-specific guidelines or standards to follow, Terracon turns to other industry standards such as American Society for Testing and Materials’ (ASTM) E2813 and the National Institute of Building Sciences (NIBS) Guideline 3 to achieve this goal. Additionally, with a thorough understanding of ASHRAE Guideline 0: The Commissioning Process, Terracon has been able to mold project specific building enclosure commissioning goals around the LEED program’s strict requirements for building energy systems commissioning. Adhering to these newly generated project boundaries, Terracon begins the process of collaboration and project integration by engaging the Architect in review of building enclosure design document details, components, and materials. An action item list is created by Terracon based upon the review of the design documents and these are discussed among the owner, architect, and commissioning team to decide upon the best path forward. Upon delivery of the construction documents, Terracon performs an additional thorough review to ensure the necessary design revisions were correctly implemented. It is during the construction document review process that Terracon begins to develop functional performance test requirements for the building enclosure systems that will be executed after installation of each individual system, and will lead to a LEED ID bonus credit. The steps outlined in the process are not specifically required by any specific portion of the standard for LEED certification of a project. 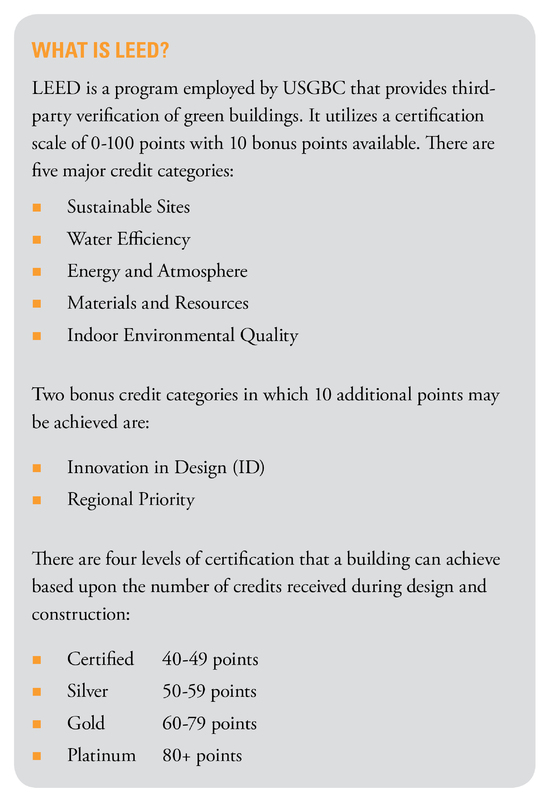 Without an explicit process, achieving this ID credit requires a consultant with applied industry knowledge, a deep understanding of LEED certification, and whole building commissioning expertise.